If this box doesn’t show up, don’t worry, you can always get it from the website options. It will now open a box with the tracking code to put on the website. Some WordPress themes, like Divi, include the ability to include scripts in various parts of every page. If this is your case, open your theme configuration page and just paste the code in the specific text area to include it in every page <head>. If your WordPress theme does not allow you to add extra scripts/code, you need to add it manually by editing the theme header.php file. 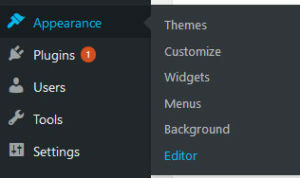 In the left sidebar of the WordPress Admin page, open the Appearance menu and click on Editor. The easier way to add the tracking code in a Joomla website is to use plugins like this one. Otherwise, you will need to manually paste it inside the index.php template file. 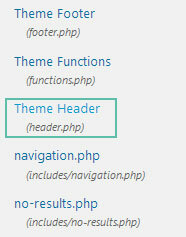 You can find this file inside the “<joomla_folder>/templates/<template_name>” folder of your Joomla installation. You need to paste the Tracking Code inside the head of every page you want to track. 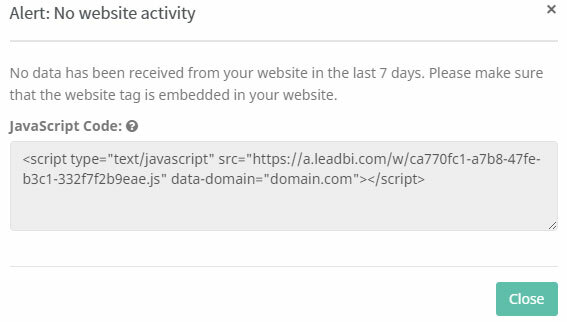 Also note that if you are already using Google Tag Manager for other scripts, you can use it also for LeadBI tracking code. © Copyright LeadBI Marketing automation made easy.